At Nightingale Opticians we appreciate how limited and valuable your time is. That’s why we offer a private service to suit you. You pick the day and the time. We will come out to your home to test your eyes and deliver your spectacles as soon as they are ready. Our aftercare and delivery services ensure that spectacles are delivered in perfect condition and adjusted to fit each patient individually. Vision through the spectacles will also be checked at the point of delivery to ensure that the patient can see as well as expected through them. 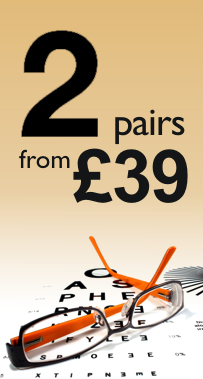 Should you decide to choose Nightingale Opticians we guarantee that you will be completely satisfied with our service and products or we will provide a full refund.